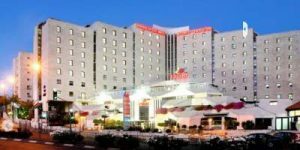 Jerusalem Hotels Jerusalem is the capital of Israel and, if including the area and population of East Jerusalem, its largest city in both population and area, with a population of 763,800 residents over an area of 125.1 km2 (48.3 sq mi). Located in the Judean Mountains, between the Mediterranean Sea and the northern edge of the Dead Sea, modern Jerusalem has grown far beyond the boundaries of the Old City. 23 Hillel Street , Accommodation. 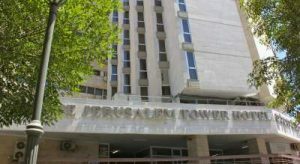 43 Yirmiyahu Street, • Accommodation. 208 Jaffa Street , Accommodation. 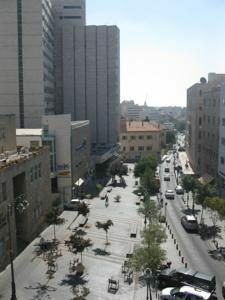 Caesar Premier Jerusalem Hotel is near Jerusalem’s International Convention Center and the light rail. 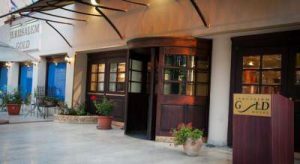 It offers a seasonal rooftop swimming pool, excellent glatt kosher food, and free parking on site. Central Bus Station is 450 m away. Hotel Caesar Premier features air-conditioned rooms with satellite TV, internet access, tea/coffee maker and private bathroom. The intimate and inviting lobby is ideal to sip a drink. Everywhere you look will be a place of ancient worship or importance. In Jerusalem, the winding streets of the Old City are charming, uncomfortably busy during religious festivals, packed with historical sites, bazaars and resident prophets. In Jerusalem there are many bars and cafes, but not in the most religious areas. The Sultan’s Pool in Jerusalem is a fabulous outdoor venue. You’ll be able to find a lot of beautiful ceramics in the Old City. During its long history, Jerusalem has been destroyed twice, besieged 23 times, attacked 52 times, and captured and recaptured 44 times. The oldest part of the city was settled in the 4th millennium BCE, making it one of the oldest cities in the world. The old walled city, a World Heritage site, has been traditionally divided into four quarters, although the names used today—the Armenian, Christian, Jewish, and Muslim Quarters—were introduced in the early 19th century. Take A Break Holidays takeabreakholidays, Jerusalem Hotels Accommodation.